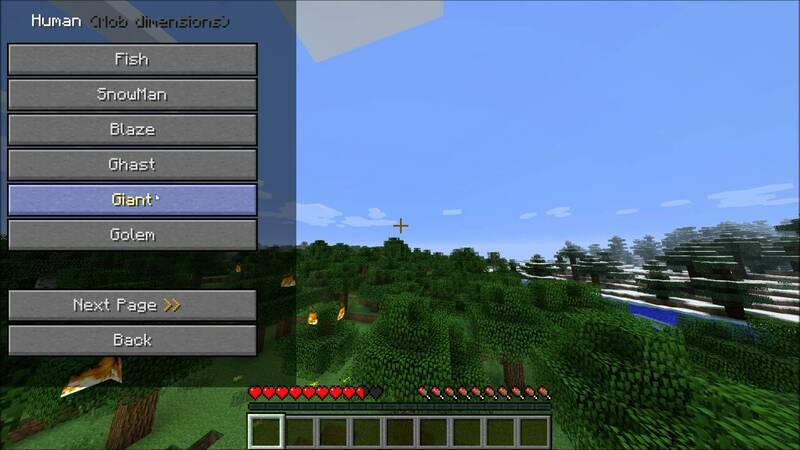 Minecraft allows players to customize their human character. However, many players might yearn for a bit of variety. Shape Shifter allows players to become one of the many monsters and creatures that roam the Minecraft world. Often referred to as mobs, these are normally computer controlled opponents. Some of them come out at night while others move around during the day. Once this mod is installed, you can press the key to cycle between various forms. What sets this mod apart from the crowd is that the player is able to finely customize the character that they become. Your various shapeshifted forms are stored in text files marked with a prefix. Rather than having to manually edit these files, you can adjust your mobs appearance in-game. The program will generate these text files for you. If you wish to fine tune them manually in a text editor that is also an option. A nice touch is that the mobs you become are not just an aesthetic shift. Your size and shape will also be adjusted to match the creature that you became. As an example, if you turn yourself into a wolf, you will be able to fit through small spaces in the jungle biomes that a human could not fit through. Currently, this feature works only in single player.